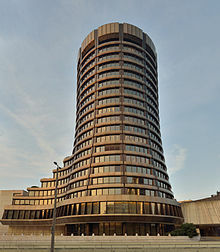 Basel, Switzerland is the home of the Bank of International Settlements (BIS) – the central bank of central banks. Yesterday afternoon, I bought a train ticket in Basel. I was standing at a ticket machine for Swiss Federal Railways (SBB). One of my payment options was Bitcoin. Cryptocurrencies are not a grassroots phenomenon. Mr. Global wants out of sovereign deposit insurance (bailout problems solved!) and complete digital transparency – for Mr. Global. The amount of money available to pump cryptocurrencies – especially while the market capitalization is tiny relative to other currency and financial markets – is near infinite. But you can’t print Bitcoin, you say. Yes, but you can print and steal trillions of dollars with which to pump it. You and I are financing the prototype. So see the state of play, assess the opportunities, beware the traps and appreciate the end game.